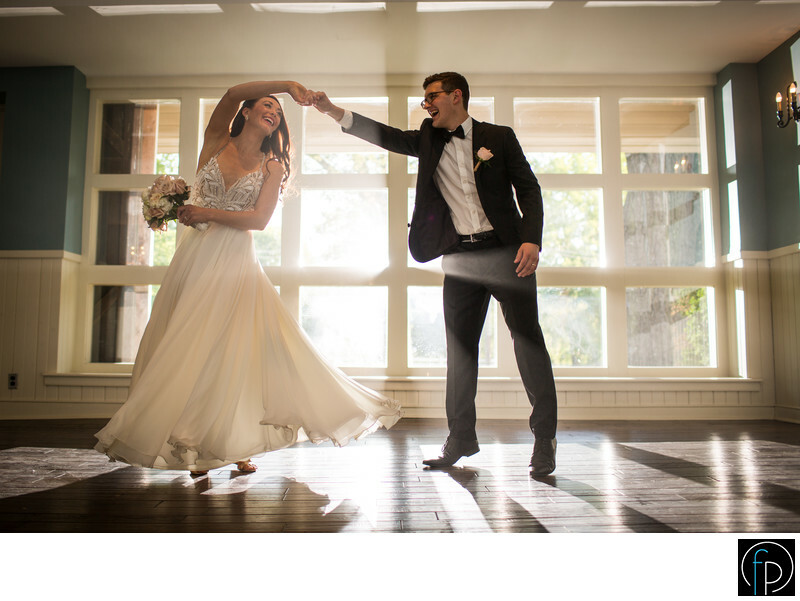 As light peers into the Anthony Wayne House, we captured this fun moment of the groom having fun and twirling his bride. The day was filled with laughs and smiles all around. The Anthony Wayne House is a hidden treasure in Delaware County, Pa. The grounds are stunning and set a magnificent backdrop to your special day.